Chinese Manufacturer Set to Unveil Smartphone With 1440p Display? In this industry, it is always about the next big thing. No, not Samsung’s “next big thing.” Last year, consumers focused on 1080p displays and quad-core processors, agreeing that they had to have those specs inside of their next smartphone. As for next year, could 1440p displays be it? 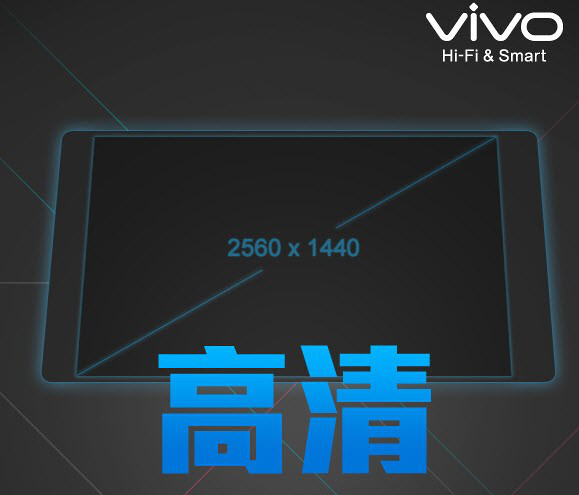 According to a recent teaser sent out by China’s Vivo manufacturer, its Xplay3S device’s display will feature an astonishing 2560 x 1440 resolution, a true first for smartphones. We have seen this many pixels in plenty of high-end tablets, including last year’s Nexus 10, but when it comes to phones, major companies have yet to break the 1080p barrier. There are many that argue the difference between 720p and 1080p on a phone, given that the human eye can barely, if at all, recognize any difference. Unfortunately, we don’t know the exact display dimensions of this new Chinese device, but we would assume it should be around the 5-6″ range. Nevertheless, you shouldn’t expect the Xplay3S to hit the States anytime soon. But if any other OEMs are watching, and this device is successfully received by the public, then who knows what could happen. Is 1440p overkill at this point? Should we wait for battery tech to catch up to the high-res displays and processors? You tell us. Contest: We Have Five $25 Google Play Gift Cards to Give Away!